We are so excited to join the 1000’s of other wedding suppliers on Easy Weddings. It is definitely the Fuss-free wedding planning tool that will help every bride stay on track. With so many other Peninsula based weddings suppliers on the website we are pleased to be part of the team. 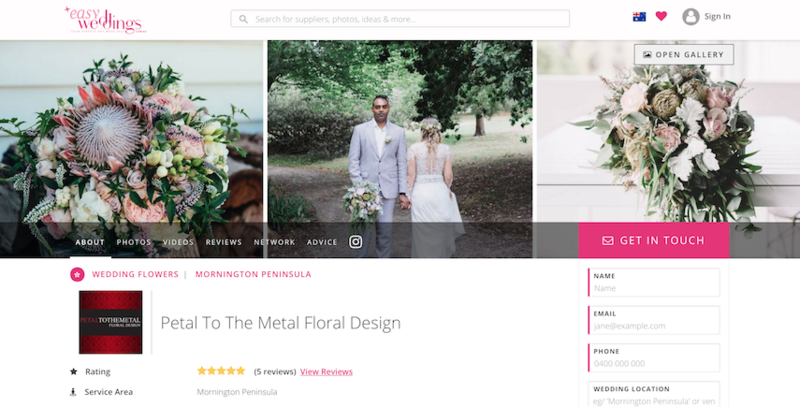 So many of our Brides have left such beautiful reviews on the site (even though we were not listed) and they sourced all of their suppliers through this one website.